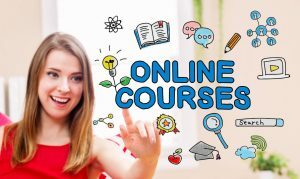 Have you ever considered offering an online course? Many of my clients have converted their workshops and/or written content into online courses that they can share with others, repeatedly. The market for online courses is massive. Your clients may be looking for ways to learn at their own time and pace, and are looking for niche topics that will help them grow their own business or skill. The research firm GM Insights valued online learning at $165 billion in 2015. Do you have an expertise you can share in this extensive e-learning industry? 1. Commit to the project. Find something you are passionate about and become an even greater expert. 2. Choose an idea that that has a profitable market. Discover what pains your customers the most and find a way to eliminate their problems. 3. Test your idea by offering a mini pilot course or workshop, and deliver it by email or a webinar. Pre-sell your course before you put in too much time. Create a course outline and pre-sell your course before you build the full program. See if there's an interest. 4. Once you've found a market, create your full course. Build out the content. test it with some clients. Price it. 6. Get your course online. This involves finding a platform that meets your needs. 7. Get some students. Given you have already tested the course in step 3, you should have a list to start with here. Ask for referrals. 8. Build out a lead funnel so you can start building a list. 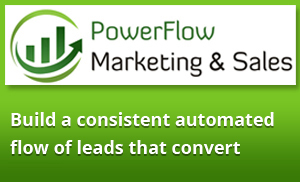 Create a lead magnet, set up a landing page and integrate with your email service. 9. Launch your first course! 10. Get feedback and fine tune your course into a great program that provides value for your clients. 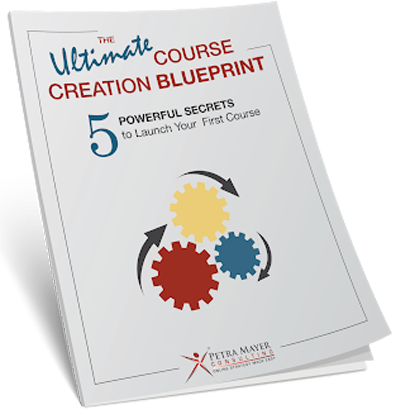 Save time and Money on your course creation with The Ultimate Course Creation Blueprint: 5 Powerful Secrets to Launch and Sell Your First Online Course or Group Program, provided by Petra Mayer Consulting. 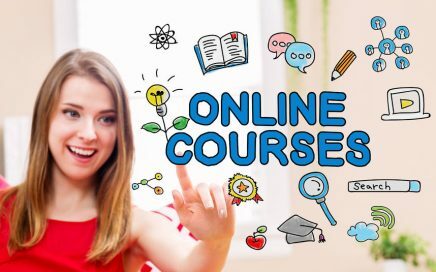 In a mix of training and interactive workshop settings you will take your vision of your online course and transform it into an actionable plan. ​work through your idea and build out your plan for your first program (online or offline!). Learn how to improve your new or existing program sso they are more awesome and transformational. Learn how to build out your signature system, multiple programs that logically lead to each other. Discover actionable strategies of how to fill your program regardless if you are speaking to one individual or you are speaking to a whole group.